Find Carribean real estate that is affordable through shared ownership. This property buying method allows you to participate in the appreciation of a property through shared ownership with other people. If, say, you only plan on using the property for less than six weeks per year, then fractional ownership might make perfect sense. You have your allotted time enjoying the property, save money because you aren’t buying outright, and get to experience one of the world’s greatest destinations every single year. Going down the shared ownership route means your annual fees and maintenance costs are much lower than owning a home yourself. 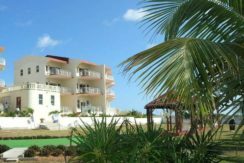 You get a perfect place to stay on vacation in the incredible Caribbean, and all at an affordable price that is well within reach of many household budgets. Plus, of course, you will save money on expensive hotels, and you will only need to spend on flights, boats, activities, and food. 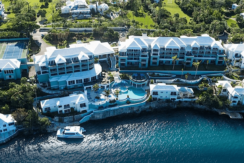 Over the process of a 5-10 year period, fractional ownership could save you money on vacations, while also ensuring you have the perfect luxurious retreat every year. 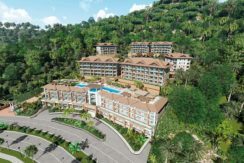 There are many different reasons to invest in Caribbean real estate right now, and he fractional ownership technique makes it a possibility for the vast majority of households. Your dream location in the Caribbean could be yours – the only choice you have to make is where you decide to go! There is a lot to see and do in the Caribbean, and if you think this tropical paradise is only good for sun lounging, you are very much mistaken. You can surf in Barbados along the spectacular eastern coast, hike through the cloud forests of Puerto Rico, and take the sugar cane train through spectacular scenery in St. Kitts. Jamaica is an incredible and hugely popular destination, of course, that is home to some of the best beaches on the planet and a wonderfully relaxed and chilled out atmosphere. But make sure you visit Dunn’s River Falls, too – it’s a series of cascades that fall from around 500 yards. You’ll need to daisy chain your way up, linking arms with other people to ensure you don’t slip, but once you get to the top, you will find a place of incredible beauty. There is so much wildlife in the Caribbean, too. You can swim with sea turtles, stingrays, and experience the exciting wildlife beneath you as you zip wire across rainforests in Costa Rica. But, of course, it is hard to talk about the Caribbean without mentioning the beach lounging opportunities. Almost every one of the islands has its own unique vibe. Try the Cane Garden Bay in the British Virgin Islands, the Gold Coast in Barbados, and Grand Anse Beach in Granada to get yourself started.